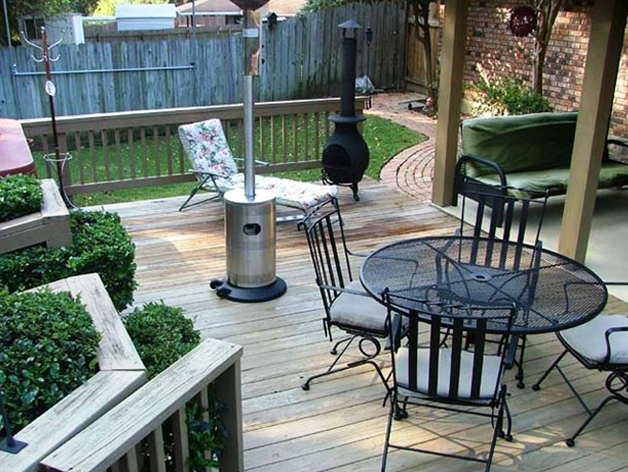 Creating the perfect deck decor that works for you is just as important as planning the interior of your home. Decks are an extension of your living area and you can easily bring the indoor elements out to create a cozy environment that you can enjoy without the restriction of walls. Imagine being able to entertain friends and family with all the comforts and safety of a home while soaking up the beauty of nature around you. It is a place where you can relax in a hot tub, sun tan, read and write or do your daily workout routine. Whether it is a place shared with others or a place of solitude, the possibilities are endless. When it comes to decorating a deck that is extended from family rooms, dining rooms or hallways, one of the favorite approaches is to create a natural flow from house to deck. Therefore it you are using certain colors or distinct patterns and textures internally, it only makes sense to repeat that on your decks to create a sense of uniformity.